Looking for the right design to draw attention to your cultural festival? 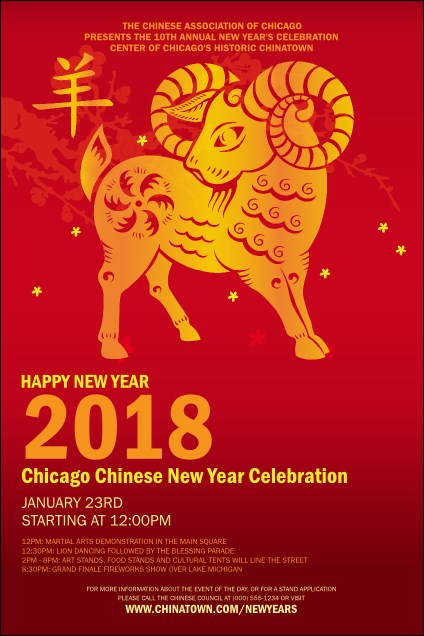 The Chinese New Year Goat Poster features a sweet, plump red, orange, and yellow goat on a deep red background. Enter fifteen lines of your event details in the easy template below and we'll send them your way! Celebrate luck and good fortune with TicketPrinting.com.